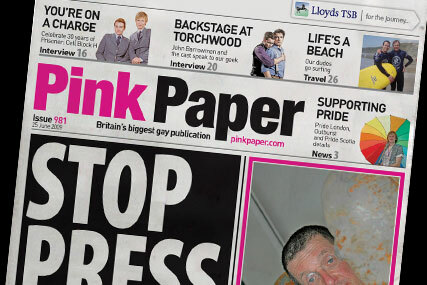 LONDON - Gay and lesbian title Pink Paper is to cease publication in a print format and become an online-only publication. The free title, launched in 1987, is the latest publication to be hit by the economic downturn and will be suspended from the end of June. The move will not prompt any redundancies at the publisher. The fortnightly title is owned by MPG, which also publishes the Gay Times. MPG said it will continue developing its daily online offering and weekly Pink Paper Xtra e-newsletter, which was launched in the spring. The title claims a circulation of 50,000 and was hit particularly hard by drops in recruitment, housing and display advertising. It is not ABC audited. Its website, pinkpaper.com, claims to attract 33,000 unique users a month and 98,000 page views per month.